More abuse was directed at the Lord. This time it came from one of the criminals crucified next to Him. How interesting that he knew enough to refer to Jesus as ‘the Christ’ and to infer that this Christ was to be a Saviour. How tragic that having come so close to Him he was still an eternity away. In contrast the other man rebuked him, showing that he too knew enough to know that this Jesus ‘has done nothing wrong.’ And, acknowledging his own guilt and the justice of his sentence, he turned to the Lord and said one of the simplest and most profound prayers. It is stunning in its truth and beauty. There was no attempt to excuse his past life or deeds – no referral to some good deed – no appeal for mercy because of his extreme suffering – no eloquent or passionate speech or motivation. There was just a very simple request, glorious in hope and faith in view of the fact that it was directed towards a dying man. And Jesus response is also simple, straightforward and breath-takingly wonderful. All this took place above the level of the crowds, the soldiers and the religious leaders. It was above the world that had rejected them both, for different reasons, but its impact was immediate and eternal. Here was a man whose destiny from the beginning of time was to die with the Lord Jesus Christ and then to live with Him forever. 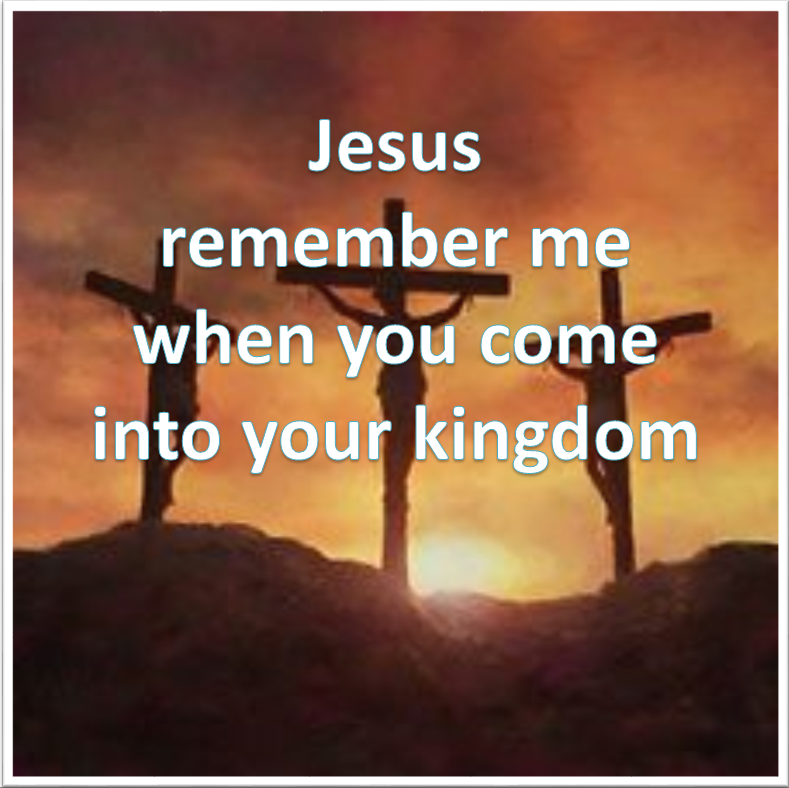 And yet if his name had been called out instead of Barabbas he would have at that moment been rejoicing that he was not on the cross next to Jesus the Christ. How great and mysterious and wonderful is the grace and provision of God. Categories: Christianity, Daily Life, God | Tags: Cross, Daily Bread, Faith, Forgiveness, Jesus, Love, Luke, Prayer, Scripture | Permalink.